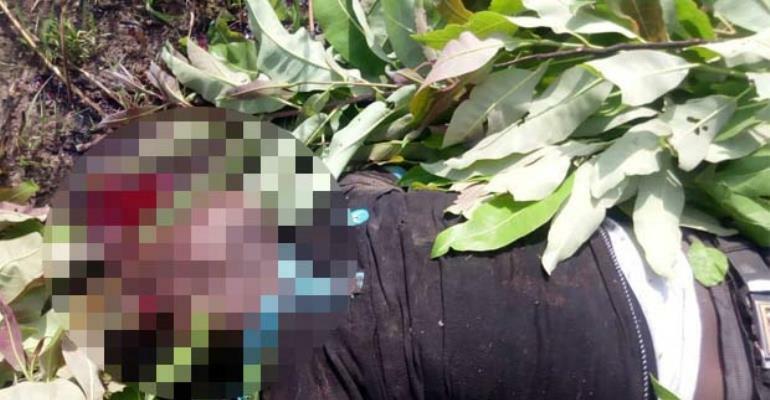 A motor rider, Eric Bayor had met his untimely death when an oil tanker carrying 36,000 litres of petrol from Tema to Wa in the Upper West Region crashed the motor in an accident in the Wenchi Municipality. The accident which occurred between Kyingkrom and New Longoro in the Wenchi District left one other rider, Godfred Tanlienwane, severely injured but killed his mate, Bayor 22. The body has been deposited at the Wenchi Hospital morgue for preservation and autopsy. According to DGN online sources from the area, the oil tanker with registration number AS 194-13 being driven by one Sumaila Ibrahim, 33, with 3 passengers onboard was heading towards Wa. Sources say on reaching the outskirt of New Longoro and trying to overtake the tricycle crushed into the sideway of the motor king and killed Bayor who was at the back. The driver of the oil tanker is being detained by the police to assist in further investigations according to regional police spokesman, Chief Inspector Augustine Oppong.